While it’s always an honor to document events related to the 9/11 anniversary, there are times, like this evening, when I need to unplug. 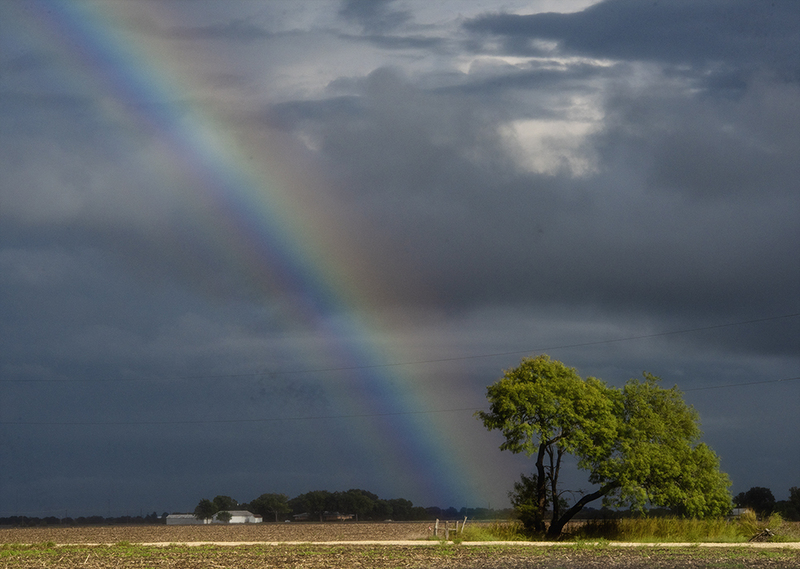 Rainbows, fleeting bits of color preceded by rain, are calming. Stopping by HEB for a few groceries, this rainbow materialized. Since they usually don’t stay around long, I put the grocery errand on hold and chased color for a few minutes. Then it was gone, but not before I managed to come up with something. Once done, it was back to. HEB for much-needed eggs.